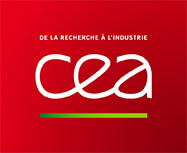 The CEA is established in nine centers spread throughout France. It works in partnership with many other research bodies, local authorities and universities. Within this context, the CEA is a stakeholder in a series of national alliances set up to coordinate French research in energy (ANCRE), life sciences and health (AVIESAN), digital science and technology (ALLISTENE), environmental sciences (AllEnvi) and human and social sciences (ATHENA).